Richard Barr is a Principal of ECG. For the past 16 years he has partnered with drug development, crisis management and leadership teams to craft nimble message-focused, issue-oriented communication strategies. 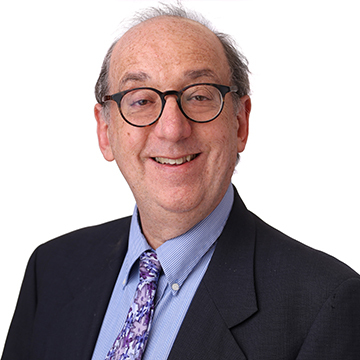 He has helped teams advocate effectively in therapeutic areas ranging from CNS to oncology to virology and to tackle special issues from suicidality to carcinogenicity to bioequivalence. Additionally, he has helped project and organizational leaders manage - and leverage - resistance and other challenging group dynamics. Before joining ECG, Richard was U.S. Head of Strategic Communication for Roche, where he devoted 14 years to designing and implementing communication strategies in all areas of drug development and marketing. His experience as a member of Roche drug development, product and leadership teams as well as his ongoing experience as a psychotherapist deepens his understanding of the professional groups he consults with. Richard's scholarly book on communal dynamics formed the bridge between his work with pharma teams and his academic career. After receiving his PhD from the University of Virginia, he taught for 10 years at Rutgers University, where he won numerous teaching awards and published widely on theater and literature.